In 2005, an independent collective of artists in Minneapolis pooled their resources in an effort to gain national recognition for their innovative local art scene. That year they boldly introduced themselves with an ad in Dwell magazine and have never looked back. Pilot has become a highly sought-after group representing a diverse range of concepts and styles. These artists who are also curators, mentors and designers have brought a national eye to the Midwestern sensibility of creating art with substance and integrity. Since their inception, the group has dispersed throughout North America but not before gaining international notoriety showing in galleries from New York to Los Angeles to London. grayDUCK is thrilled to host a rare group show by this all star collective. All members of the group are well-established full time artists. Each of the artists has their own, unique style they use in their work. 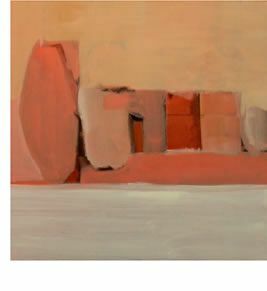 John Alspach, Tara Costello and James Wrayge are abstract painters. JAO paints while in a state of intense aerobic activity to create work about energy and movement. 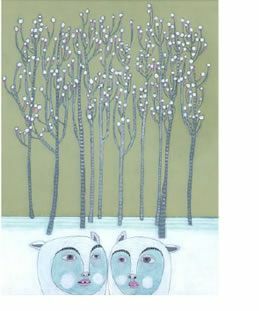 Amy Rice and Jennifer Davis have an illustrative, whimsical feel to their work. Yuri Arajs combines found material and precise mark making. John Diebel creates cartoon-inspired line drawings, while Ben Olson is a popular self-portraitist and Terrence Payne works in oil pastels. Each member brings to the group an individual vision and style, but a clever pop-art sensibility makes them coherent as a group.